This research studied integrated educational human resource at the Islamic schools including curriculum and instructional programs, teachers and educational staffs, facilities, budgets, and machines at three different levels of Ismalic Schools in Banjarmasin, Kalimantan, Indonesia. This research employed qualitative approach which was oriented to the theoretical phenomenology and used multicases study design. Data were collected using indepht interview, observation, and documentation. The analysis were done by having the following steps: data collection, data reduction, data display, and conclusion, drawing and verifying. The analysis involved individual case and cross cases analyses. The findings revealed showed the continuous improvement orientation, customer satisfaction and expectation fulfillment, implementation results control, and strategies to overcome resistance in curriculum, instructional program, teachers, educational staffs, facilities, budgets, and machines. Arifin, I. 2010. Kepemimpinan Kepala Sekolah dalam Mengelola Madrasah Ibtidaiyah dan Sekolah Madrasah Berprestasi Studi Multikasus pada MIN Malang 1, MI Mamba’ul Ulum dan SDN Ngaglik 1 di Batu Malang.Yogyakarta: Aditya Media. Bafadal, I. 2007.Manajemen Strategik. Jakarta: Adinda Chaniago. Bogdan, R. C & Biklen, S. K. 2003.Qualitative Research for Education: An introduction to Theories and Methods (4th ed.). Boston Allyn and Bacon. Handoko T.H. 2012.Manajemen Personalia dan Sumber Daya Manusia Yogyakarta: BPFE. Hermawan, R. 2010. Pengembangan Sumber Daya Sekolah. Jurnal.http://file.upi.edu/Direktori Nomor 13-April_2010/. Retrieved on 30 May 2016. Huda, M, AY. 2009. Menuju Universitas Kelas Dunia (World Class University). Malang: Universitas Negeri Malang. Huda, M, AY. 2014. Landasan Pendidikan dan Pembelajaran S3.Malang: Universitas Negeri Malang. Miles, M.B., & Huberman, A.M. 1984. Qualitative Data Analysis. Beverly Hills: Sage Publication. Mulyasa, E. 2003.Menjadi Kepala Sekolah Profesional.Bandung:PT Remaja Rosdakarya. Notoatmodjo, S. 2009. Pengembangan Sumber Daya Manusia. Jakarta.Rineka. Sallis, E. 2012.Total Quality Management in Education.Yogyakarta: IRCiSoD. Sonhadji, A. 2012.Manusia, Teknologi dan Pendidikan Menuju Peradaban Baru.Universitas Negeri Malang. Suhardan, D. 2008. Hasil Uji Kompetensi Produktif; Makalah yang disampaikan pada Workshop Pendidikan Kejuruan Provinsi Daerah Istimewa Yogyakarta, di Pusdiklat Guru (PPPG) Kesenian Yogyakarta. Suratni.2011. Peran Serta Masyarakat dalam Pembangunan Pendidikan. Http: www.id.com. Diakses 12 Februari 2015. Tjiptono, F & Diana, A. 2008.Total Quality Management. Yogyakarta: Andi Offset. Undang- Undang Nomor 20 Tahun 2003, Tentang Sistem Pendidikan Nasional. Bandung: Citra Umbara. SUKRIANI, Sukriani et al. The implementation of the Islamic Schools Resources Quality Management in Benjarmasin, Indonesia (A Multicase Study at State Islamic Primary School of Pemurus Dalam, State Islamic Middle School of Mulawarman, and State Islamic High School of Banjarmasin. 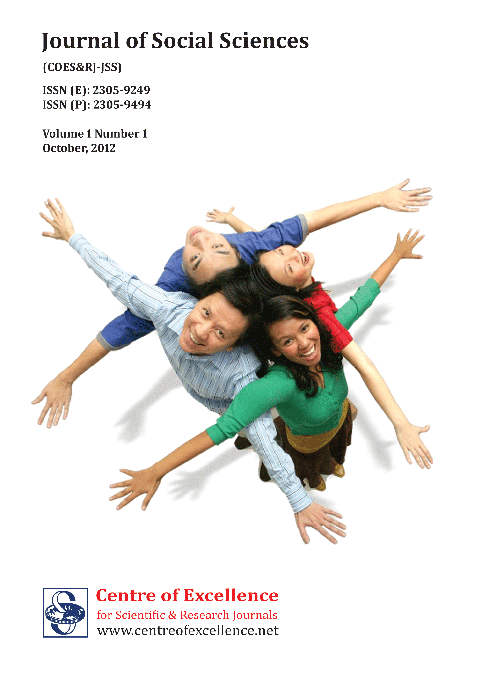 Journal of Social Sciences (COES&RJ-JSS), [S.l. ], v. 6, p. 125-138, jan. 2017. ISSN 2305-9249. Available at: <http://centreofexcellence.net/index.php/JSS/article/view/jss.2017.6.1.125.138>. Date accessed: 24 apr. 2019. doi: https://doi.org/10.25255/jss.2017.6.1.125.138.